If you are experiencing performance issue, you may be asked by an NVIDIA support agent for an event trace log file. Follow the steps below to generate an event trace log file that our software team can view to better understand the cause of this issue. 1) Download the Windows Assessment and Deployment Kit (Windows ADK) for Windows 10 from the URL below. 2) You may be asked to install Microsoft .NET Framework if you have not previously installed this on your PC. If prompted to install Microsoft .NET Framework, please proceed with the installation and reboot your computer after it has completed. 3) Next, choose the directory where you would like to install the Microsoft tools. Since event trace logs can be several gigabytes in size, you may want to select a drive that has plenty of space remaining. Click Next to proceed. 4) You will be asked if you wish to join the Microsoft Customer Experience Improvement Program (CEIP). This is optional and not required. 5) Next screen will present you with the License Agreement. Select Accept to proceed. 6) The final installation step will ask you to choose which features you would like to install. Please choose Windows Performance Toolkit and then click on the Install button. This completes the installation. 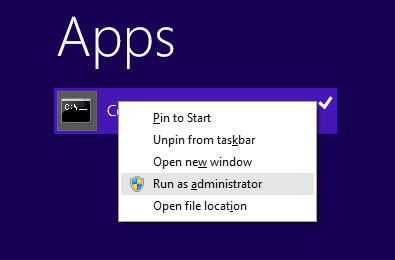 7) Open a Command Prompt window with Administrative Privileges by clicking over the Start icon on the taskbar -> type "command prompt" to display the launch icon and right-click over the icon as shown below (icon will look the same under Windows 10 and Windows 8 however the Start screen will appear differently) -> select "Run as administrator"
If you chose a different installation path, navigate to that directory and drill down to the gpuview folder. 11) Open Windows Explorer and navigate to the gpuview folder. Several new files will be saved to this folder with the extension .etl. 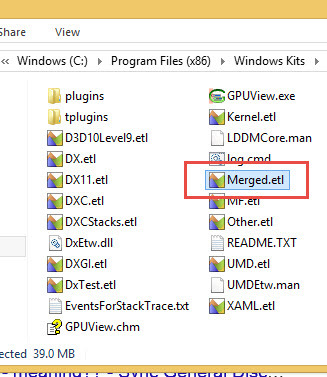 The only file we require is "Merged.etl". 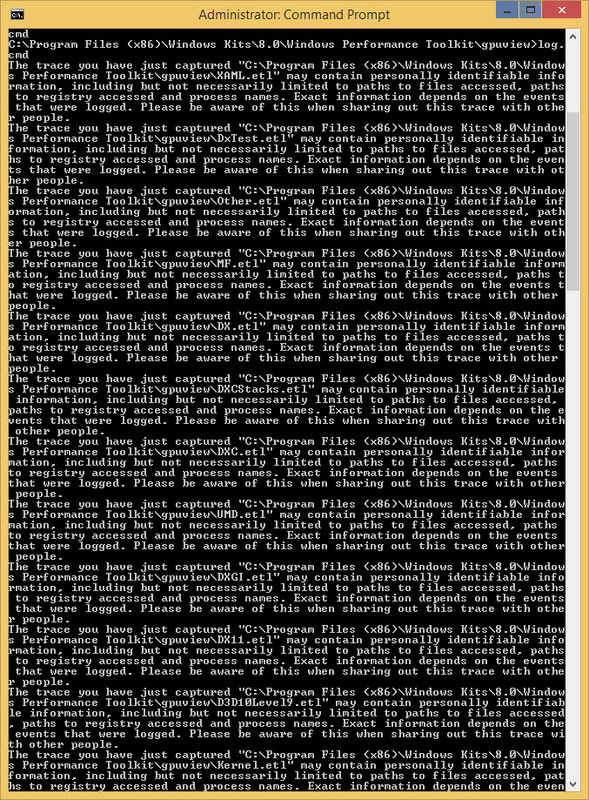 All of the other files that end with the extension .etl can be deleted. 13) You may need to upload the file to a file sharing service such as Google Drive or Microsoft OneDrive. Then you may share the dowload URL with NVIDIA.